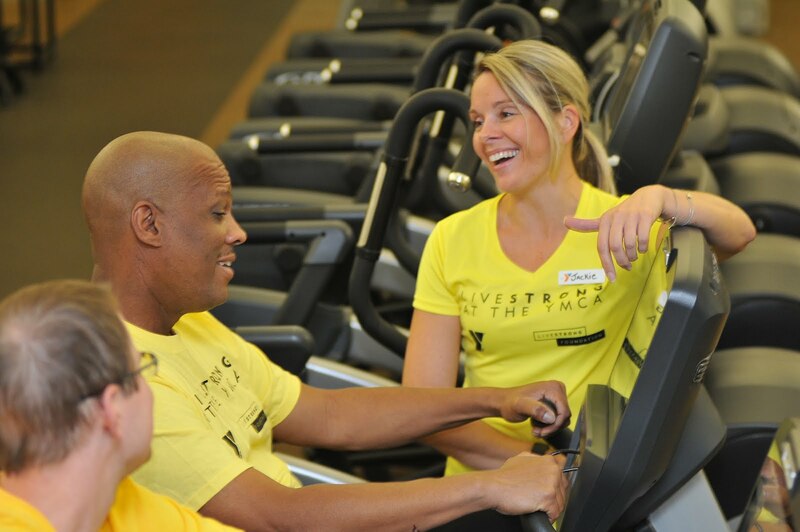 LIVESTRONG at the YMCA is a free 12-week program designed for cancer survivors and their families seeking to regain health, build strength, and connect with other cancer survivors. Our goal is to help participants build muscle mass and muscle strength, increase flexibility and endurance, and improve functional ability. Certified YMCA fitness instructors give personal individualized instruction and are trained in the elements of cancer, post rehab exercise, nutrition, and supportive cancer care. The program meets twice a week for 90 minutes, using traditional exercise methods to ease you back into fitness and help participants improve confidence and self-esteem. Check out the locations, dates, and times of the upcoming LIVESTRONG at the YMCA classes!